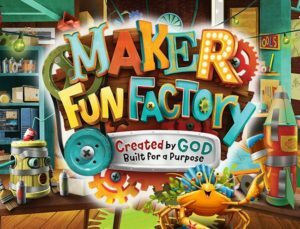 The theme this year is Maker Fun Factory. Registration forms for both participants and youth leaders are available here. If you have any questions contact Mary Hynes at the Parish Office, mhynes@staloysiuspwv.org. Ash Wednesday, March 1: Mass in the Church at 8:15am and 7pm. Although our days are colder, it is never too early to think about where your kids will spend their summer. This summer St. Aloysius will have a summer camp! Each day there will be something new including games, art, cooking, reading, and of course fun! Our themes this summer will include: Camping, Cooking, Ocean, Science, Backyard Fun, Animals, Sports, and Art. For more information about summer camp or to get signed up please contact Jennifer Williams at 502-241-8516 ext 1011. We look forward to spending our summer with you! Lenten Fish Frys – Save the dates. https://www.staloysiuspwv.org/wp-content/uploads/2016/08/header-logo-3-300x153.png 0 0 Mandy Kumler https://www.staloysiuspwv.org/wp-content/uploads/2016/08/header-logo-3-300x153.png Mandy Kumler2017-02-21 14:46:482017-02-21 14:46:57Lenten Fish Frys - Save the dates. St. Aloysius offers childcare during 11am Mass on Sundays. This service is offered for children who are steady crawlers through kindergarten age. Beginning Feb. 5 Julie Corbell will be our new coordinator. If you would like to register your children or would like to volunteer to care for the children, please contact Julie at jacorbell@yahoo.com.